U.S. congressman Tom DeLay was forced to step down in 2005 after being charged with money laundering. The progress of global financial markets makes this crime easier to commit. Read on below to understand what exactly it is and how it is done. Money laundering is the act of trying to make money appear to come from another source. That is, criminals create the impression that the money obtained through illegal come from a legitimate source. This is to ensure that the illegally obtained money will not be seized by the authorities. 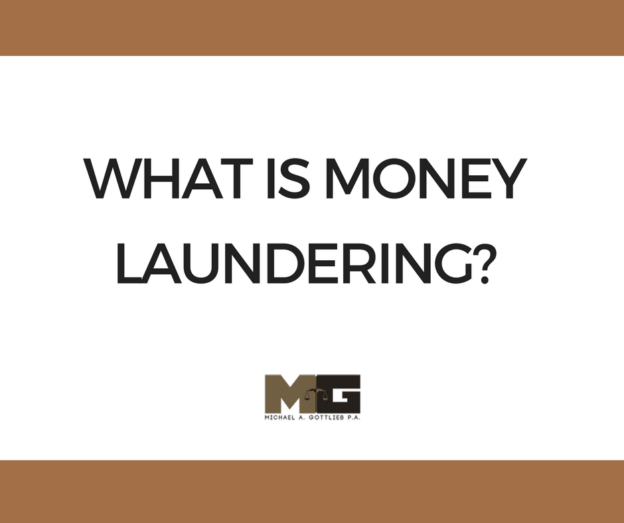 How is Money Laundering Committed? Placement – the point at which the criminally obtained money is incorporated into the financial system. Layering – the most important part of the process wherein the money is “washed” and its source and ownership are disguised. Integration – this is the last stage wherein the money laundered is introduced again into the legal economy. The concepts and definitions given above are quite simple. There are, however, some situations wherein one stage would overlap another stage. For a crime to be classified as federal level, the illegal activities or money should cross state borders, or the money was taken from government agencies. Money earned through drug trafficking is usually considered as a federal level case. This activity is classified as a serious crime that comes with severe federal charges. The perpetrator may be sentenced to jail time for a maximum of 20 years. The length of time spent in prison is based on the amount of money laundered. As the amount goes up, the higher the cost of the fines and the more time spent behind bars. It is necessary to defend yourself well in court in order to avoid being sentenced with jail time. The owner of a business must be able to prove that he was not actively involved in handling the laundered money in any way. The government has the burden to prove that the accused individual was aware of the activity. If he was ignorant, the charges may be dropped. Is it possible that the entire company is not involved in committing the crime and that only specific individuals took active part in its commission? The answer is yes. For instance, an accountant that works for the company may be the perpetrator while the business owner is not aware of the illegal activities that have happened or are happening. The government must prove in court that a reasonable person is aware of the illegal activities happening in the company. In other words, the government must prove that the person is knowledgeable of the crime even if it does not look like it. Defending your case against this kind of charges is much easier if you have an experienced criminal lawyer that thoroughly understands the matter. An experienced defense lawyer will be able to effectively explain to the court that the accused could not have known it based on several factors. Call the Broward Criminal Law Firm today to book an appointment.